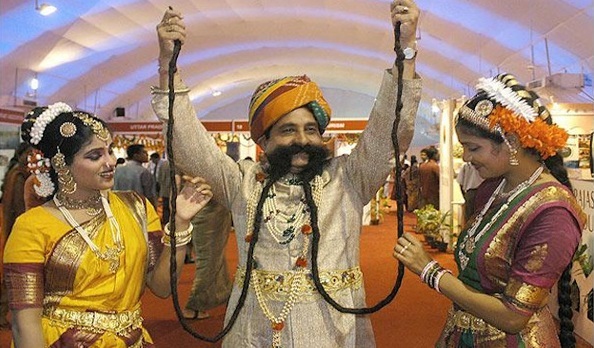 Ram Singh - The Man with the World's Longest Moustache ! The people do several things to get noticed and having a great looking moustache is definitely a head turner. But having a moustache 14 feet long is not most of the people aim for. 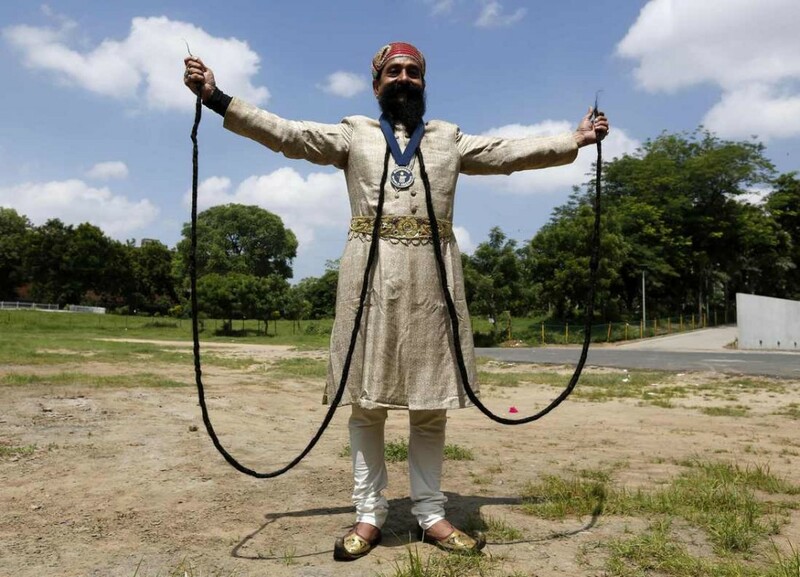 Ram Singh Chauhan who is an officer in Rajasthan State Tourism is the Guinness World Record holder of having the longest moustache (14 feets) in the world. Ram Singh Chauhan, the 56 year old man from Rajasthan is a real craze for the tourists who want to get a photo clicked with him. Earning a record of this sort is not an easy task as it takes a lot of hard work and perseverance before one can reach this level. 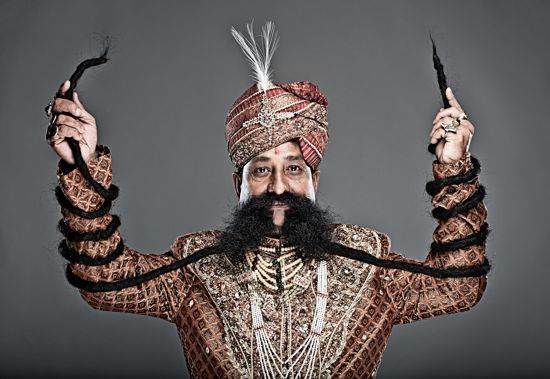 Ram Singh started to grow his moustache in the year 1982 after being inspired by another Rajasthani named Karna Bheel. Since then he hasn’t cut his moustache except for some trimming of the edges. According to him the moustache is the symbol of manhood and it is very disheartening to see almost all the boys going clean shave these days. The ritual of nurturing the moustache of Ram Singh is quite tedious and it takes almost two hours every day he first gently cleans his moustache, then combs it and after that he massages it with oil. He uses coconut oil or olive to massage his moustache. This man is no less than a celebrity and has been visiting places all around the world where people call him for competitions and championships. 1) Start Early : He says that the moustache that comes in the teenage years is the best and has the potential to grow the longest. As the age progresses the age of the moustache hair reduces so it is advisable that the boys must not shave off their early moustache. Ram Singh has never shaven his moustache. 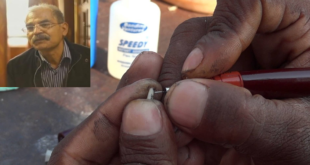 He just trims at the level of the lips. 2) Proper Grooming : According to chauhan one must groom the moustache well if they wish to grow it long. He massages it with coconut oil and washes his moustache every 10 days in which he requires his wife’s help that is rendered happily by his wife. 3) Family Support : Chauhan says that in the initial years his wife id not like him keeping the moustache but gradually as he started getting recognized for his moustache she also accepted it as one of the family members. Now she also helps Ram Singh in grooming the moustache. So having family support is also of importance for your passion. 4) Endurance is the Key : The new growing moustache can be itchy and irritating but if you want to have a good one you must endure the pan. Ram Singh finds it difficult to sleep with this long a moustache but he is proud to be sporting one himself. 5) Do not fall Prey to Peer Pressure : Many youngsters do not like to have moustache these days and this must be discouraged as moustache is a symbol of manhood and must be sported by males belonging to all age groups.